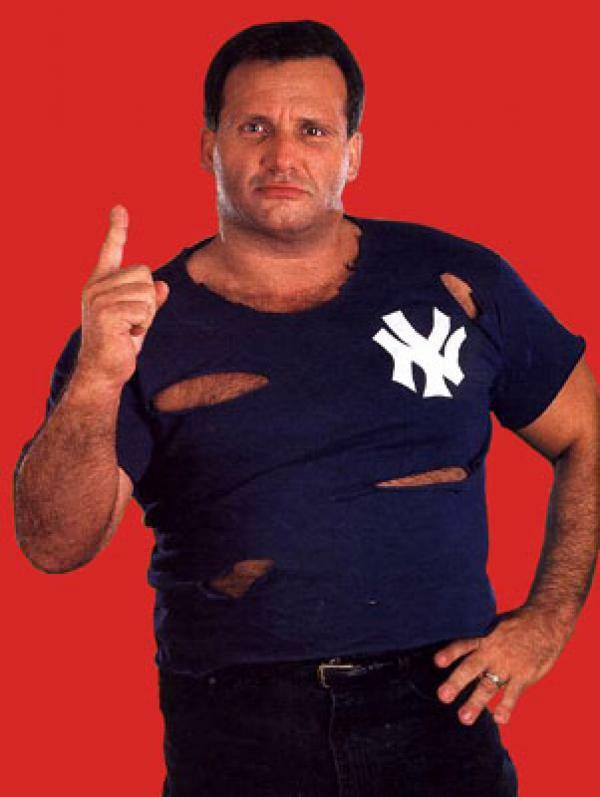 Steve Lombardi had a run with the WWE, under various guises, that lasted over 30 years. From the Brooklyn Brawler to Abe “Knuckleball” Schwartz via stints as Doink the Clown and Kim Chee, today we look at ‘The Many Faces Of’ Steve Lombardi over his many years as an employee of the WWE. 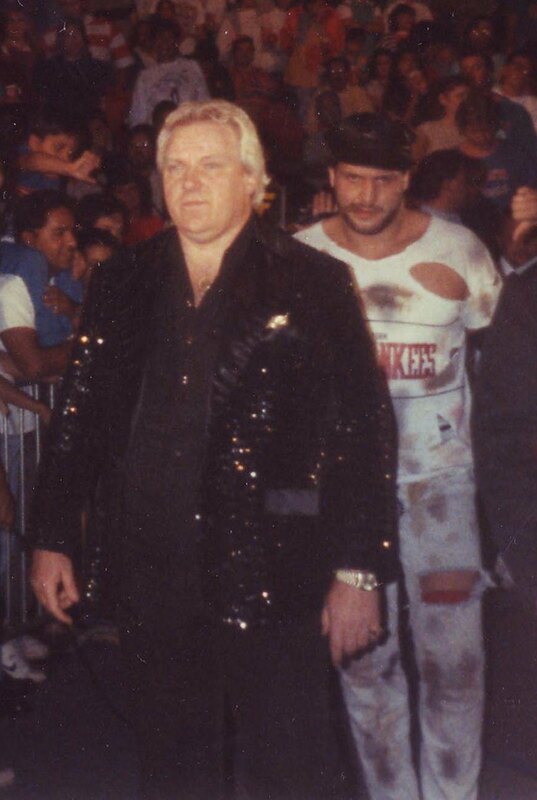 The WWE career of Steve Lombardi began in late 1983. He first appeared under his real name, as a heel and as an enhancement talent. During this period he would often team with Barry Horowitz. On other occasions, he appeared under the mask of Kim Chee as Kamala’s handler during his mid-80s run with the WWE. In 1989 he was repackaged as the Brooklyn Brawler – a street fighter wearing tattered clothes and managed by Bobby ‘The Brain’ Heenan. Brawler was quickly thrust into a feud with Terry “The Red Rooster” Taylor who had just dropped Heenan as his manager. The feud saw the pair meet on Saturday Night’s Main Event, in a match that Rooster won. He then defeated his former manager at WrestleMania V.
After this programme, Brawler’s allegiance with Heenan was phased out and Lombardi returned to his former enhancement talent status but did retain the Brooklyn Brawler gimmick. In 1991, he entered into a small feud with new WWF talent Big Bully Busick over who the real bully of the WWF was. Brawler defeated the Bully by countout and in a rematch one week later saw the Brawler dominate the Busocl until Harvey Wippleman, who managed The Bully, grabbed Brawler’s leg giving his man a controversial win. 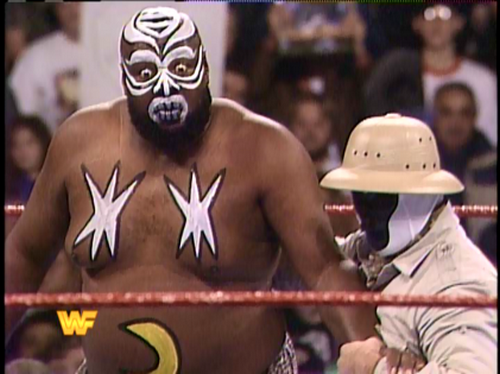 In 1992 as Kamala returned to the WWE, so Lombardi returned as the Kim Chee character. A character he also wrestled as briefly once Kamala left. After that fizzled out, Lombardi swapped a mask for face paint and briefly replaced Matt Borne as Doink the Clown until Ray Apollo was hired as a full-time replacement. 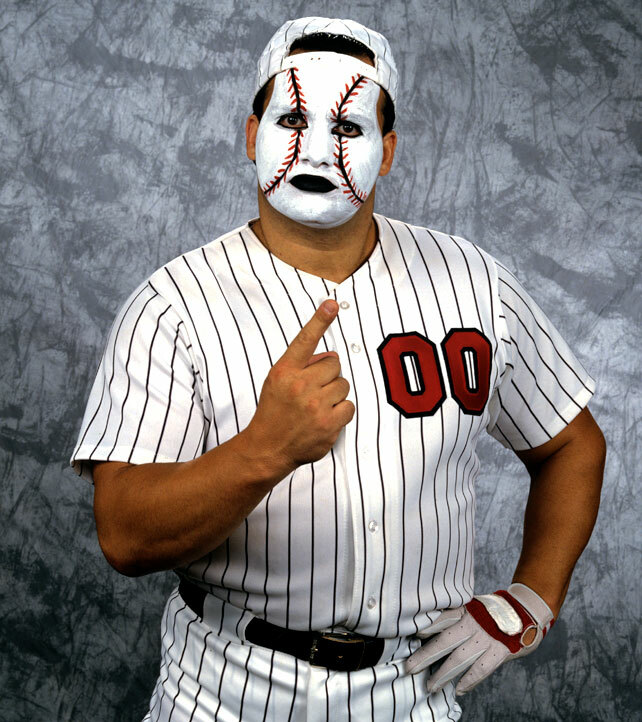 In addition to these roles, he continued to perform as the Brooklyn Brawler and also adopted a short-lived baseball player gimmick – MVP (Most Valuable Player) and sometimes referred to Abe “Knuckleball” Schwartz. His only televised match as MVP came in a Battle Royal where the last two remaining would battle for the IC title, a match where Razor Ramon and Rick Martel were left in the ring. MVP was dumped out half way through the bout. 1994 saw him revisit the baseball gimmick but this time as a heel as Abe “Knuckleball” Schwartz. The character reappeared during the Major League Baseball Strike. As the years passed, Lombardi’s in-ring work became less and less frequent and he would mostly be used as a road agent and only the occasional – often comedic – appearance in the ring. In 1996 he was defeated in the try-out for Dwayne Johnson, who would later become The Rock. In 1997 Lombardi won a battle royal for a title shot against then WWF Champion Shawn Michaels at MSG. The Brawler would dominate but lose due to interference from Michaels’ D-Generation X colleagues. In 1999 Lombardi was one of the replacement referees when the WWF went on a storyline strike. The following year he scored a win over Triple H in a handicap match and would also pick up wins over Just Joe. In 2001 he appeared at WrestleMania X-Seven in the gimmick battle royal as Kim Chee. He once again appeared as Kamala’s handler Kim Chee at WrestleMania X-Seven and competed in the gimmick battle royal. In 2004 he changed his in-ring name to the Boster Brawler after the Red Sox defeated the Yankees. It was part of a programme on Smackdown! where Heidenreich was looking for more friends. In the end, Lombardi reverted to the Brooklyn Brawler again. In May 7, 2006, it was announced that the WWE would release a Brooklyn Brawler figure as part of Jakks Pacific’s WWE Classic Superstars collection. At that year’s Vengeance PPV, Brawler appeared as Doink the Clown when he came out to the ring with Eugene during his match with Umaga. Several other appearances occurred that year including a loss to Kurt Angle on ECW TV, a Smackdown! loss to Vito and an appearance in a 30-man battle royal. On the 15th anniversary of Raw on December 10, 2007, Lombardi appeared as Abe “Knuckleball” Schwartz in a segment. When Triple H saw him, he exclaimed “I guess the Brooklyn Brawler was busy tonight”. Lombardi made an appearance at 2010’s “Raw Goes Old School” episode of Raw as the Brooklyn Brawler with Harvey Wippleman as his manager in a losing affair against Ezekiel Jackson. The Brooklyn Brawler made a surprise return to pay-per-view on December 16, 2012 at the TLC pay-per-view (which took place in Brooklyn), teaming with the Miz and Alberto Del Rio in a winning effort against the team of 3MB (Heath Slater, Drew McIntyre and Jinder Mahal). Brawler picked up the win for his team by forcing Mahal to submit to his Boston Crab. In 2013 he appeared on Superstars against Ryback in a match where the Brawler was able to get in some offence, unlike many of the enhancement talents that Ryback faced at the team. Around 2014/15, Lombardi’s relationship with the WWE ended – although the exact date is unknown – ending a 30 year association with the company. You can read all previous ‘The Many Faces Of’ articles here. This entry was posted in The Many Faces Of, WWE, WWF and tagged Abe "Knuckleball" Schwartz, Bobby 'the Brain' Heenan, Kamala, Kim Chee, MVP, Steve Lombardi, The Brooklyn Brawler. Bookmark the permalink. Lombardi deserves to be in the WWE Hall of Fame. The guy has done so much for the company, he should be rewarded.